QMV recently celebrated our ten-year anniversary at Mornington Peninsula's internationally acclaimed Moonah Links Golf Resort. 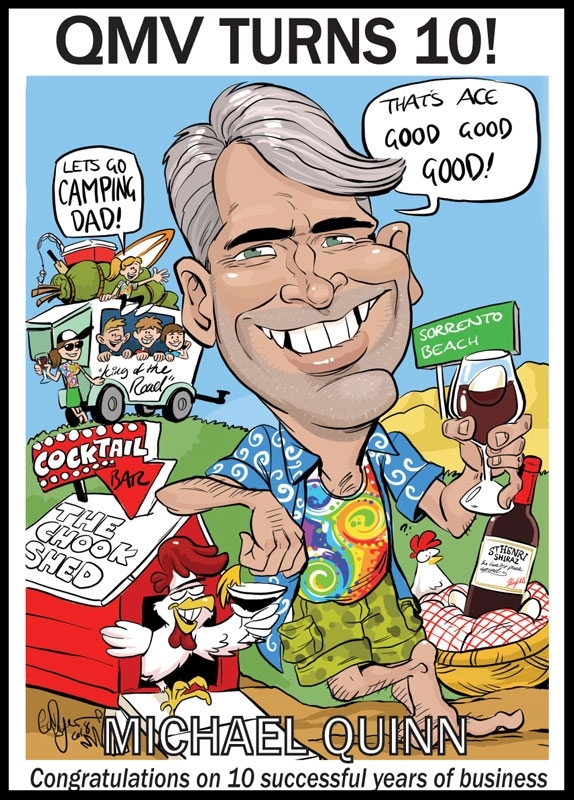 Getting out of our suits and away from the city allowed us to pause, connect with one another and reflect on the many achievements and challenges since the company was formed in 2008. We began the day by testing the considerable brain power across the group with a game of corporate kidnap which required critical thinking, deductive reasoning, problem solving and team work. Then we went military and played three rounds of intense laser tag in a bush setting. Steve Mahoney and Anthony Forbes get special commendation for this exercise. The evening was cocktails, dinner, presentations and fun interviews with Michael Quinn, Steve Mahoney and myself. We were given these comical mementos to signify the milestone. When I reflect back to 2008, the world was gripped in financial crisis, a young upstart named Barrack Obama was sworn in as American President, Kevin 07 was in charge back home (and about to be toppled) and a little company called QMV was formed. I remember the first time we conceived the concept for QMV. After a couple of coffee catch-ups discussing the idea of a new business, Michael, Steve and I sat down over dinner at a little Italian restaurant in Flinders Lane. We didn’t have detailed business plans or financial modelling, just a vision of what we could create. 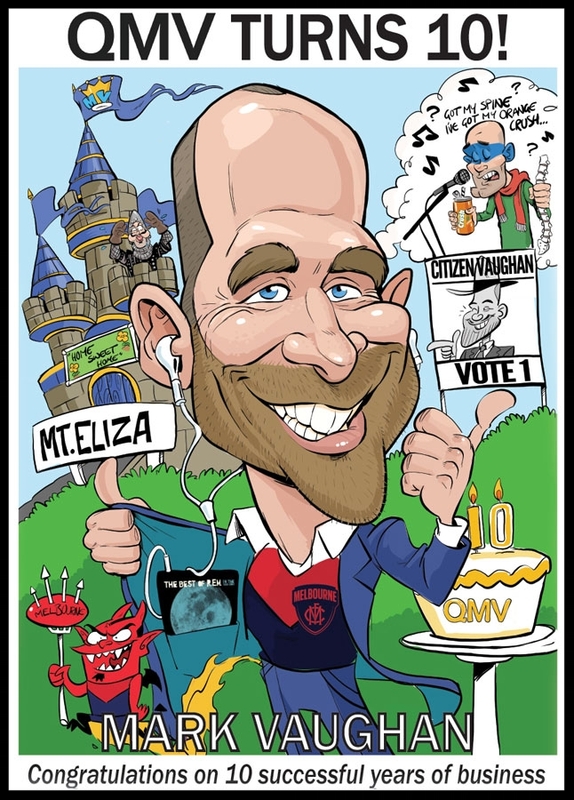 After a few drinks we looked at each other, shook hands and said, “Let’s have a crack.” And that’s how QMV was formed. What’s the story around the name? I’ve often been asked about the name QMV and its origins. So, we decided it needed to be something simple but with meaning. And that’s when we agreed on QMV. Of course, I had meant it to stand for Quality Mark Vaughan Solutions, but the others clearly thought each letter represented our surnames. I was happy to let it slide and QMV was born. Sometimes when you’re in the thick of business you don’t take time to reflect on the journey. 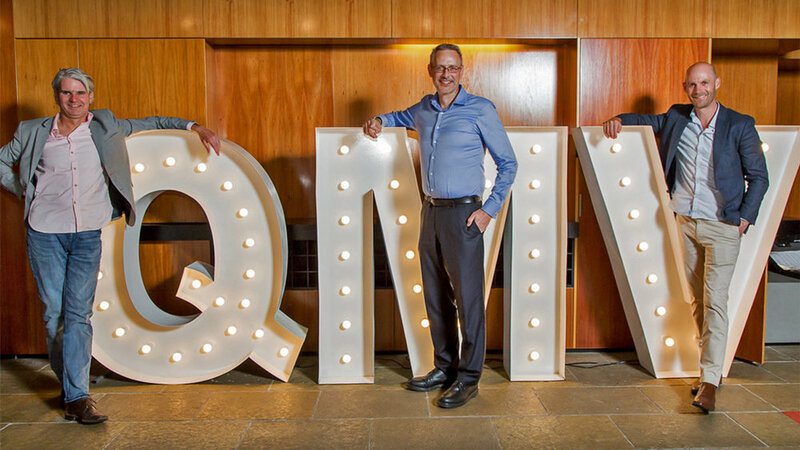 Over the 10-years of QMV we have gone from three blokes sitting in a coffee shop to a national consulting business with a highly experienced and respected team of over 45 people. We've developed software, diversified from our superannuation roots, expanded to Sydney and Brisbane and significantly grown our client base. Ultimately it is the people who make QMV. 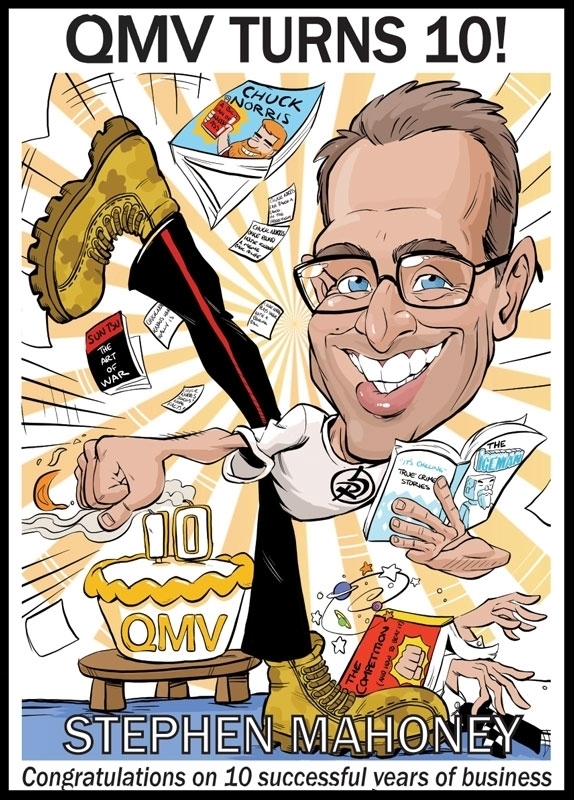 There have been more than 100 people work for QMV over the 10 years. I have had the privilege of watching the development and growth of so many. But there’s also the personal side. There have been many weddings and babies over the years, and we have also seen loss and serious illness. As a small business it has always felt like family. We’ve wanted to celebrate our people’s successes but also tried to understand and support during times of need. The entire team has helped us develop the QMV culture; combining expertise with character, ambition with humility. Culture is not something you can just decide on; it has to evolve and you have to live it. Expertise with character, ambition with humility. That’s who we are. To QMV clients: without you, we don’t exist. We are humbled by your continued faith in us and our work. We are privileged to work alongside so many talented, energetic and genuine people. Thank you for letting us be part of your organisation’s journey and success. To all QMV people: I know I speak on behalf of all the owners in saying you make QMV. Thanks for your ongoing support and commitment. To all QMV partners: I consider you all part of the QMV family and we look forward to your continued input and partnership in the future. To Michael and Steve: as owners we’ve had so many up and downs over the years; some really tough times but we persevered. Most businesses don’t last one year; we’ve made 10 and are stronger than ever. A big thanks to both of you for your support and friendship over the journey. An event like our ten-year celebration takes a significant amount of planning; arranging the venue, transport, activities, gifts plus a million little things. A special thanks goes to Joanne Schembri, Juliana Andel and Steve Morrissey for their significant efforts in putting together what was a hugely successful celebration, one that we will all remember very fondly.